I’ve been meaning to work with chalk cloth again for awhile now. I had made a table runner at work with “Chips”, “Dip” and other appetizers scrawled on it in the chalk marker. 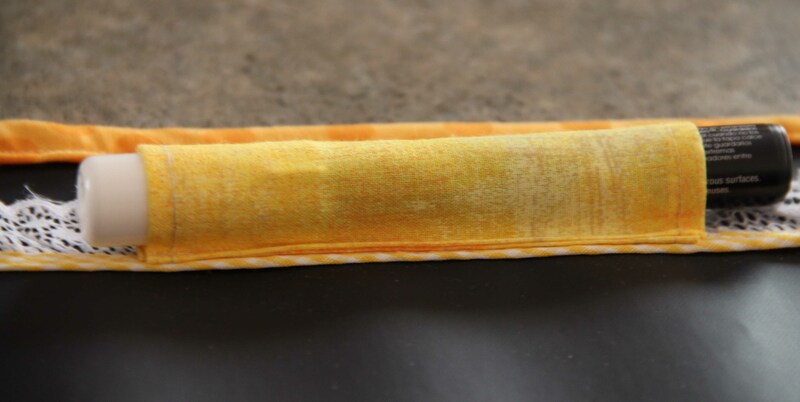 It turned out great and has inspired many others to try their hand with chalk cloth. I made this one to sit on our kitchen island. With a busy household, we all come home at different times. 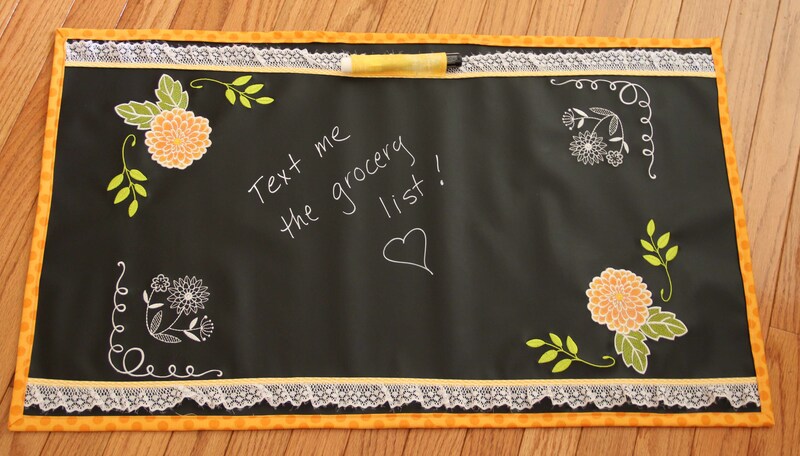 This way, anyone can make the grocery list right on this cloth and text me a picture, or I can leave another non-urgent message…(Hint: Clean your room!) It also serves as a decorative table runner. I could easily add a dowel across the top and hang it on a door so no one can miss it. I added a little holder for the marker so it doesn’t disappear as so many things do in our house. The thing to remember about chalk cloth if you’re thinking about using it, is that you do need the special marker that washes off with a damp paper towel. If you choose not to use the marker, you can certainly use regular chalk, but that involves a lot more chalk dust…and you must first prime the cloth by covering it entirely in chalk. Use the side of a piece of chalk and run it from end to end. Once all that is erased, your chalk cloth will then be ready for use with chalk and an eraser. In the kitchen, I prefer the markers, which you can get in multi colors if you are so inclined. I had a lot of lace from my mom’s stash, and so I added a little border. Also, as you can see, I added a binding. I do have a backing, but no batting in the middle. I added the binding by sewing it first to the back side, and then bringing it around the front and using a simple straight stitch along the front. Fast, simple, easy! 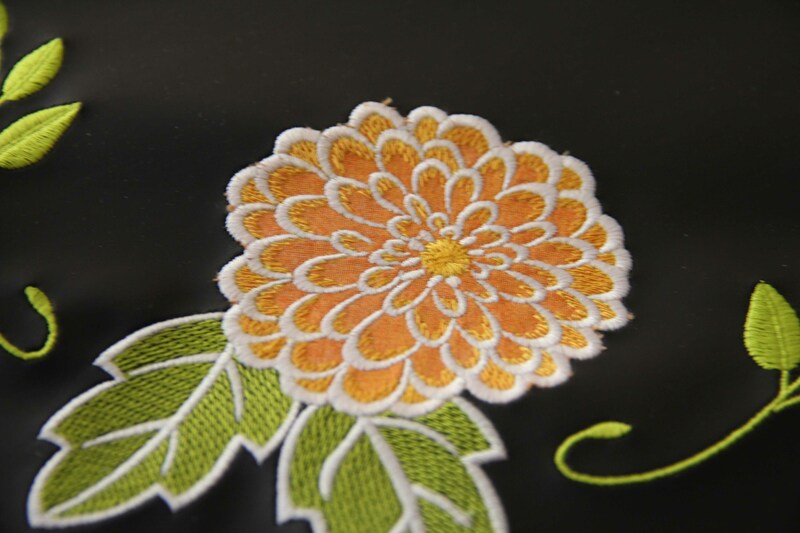 I used the Chalk Cloth florals embroidery designs from OESD. 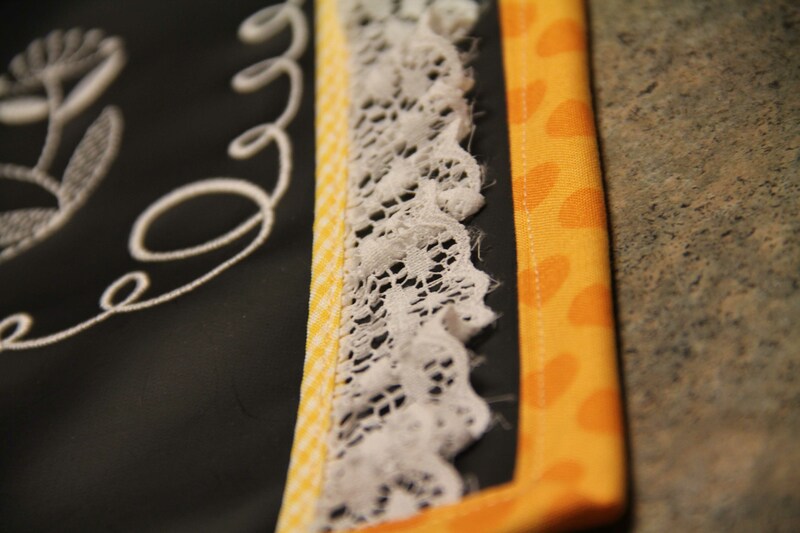 They stitched out beautifully, although were a little denser than I expected. The possibilities are endless…and if you run out of ideas, don’t forget to head to Pinterest to be overwhelmed with them. Have fun with this versatile and quirky product. 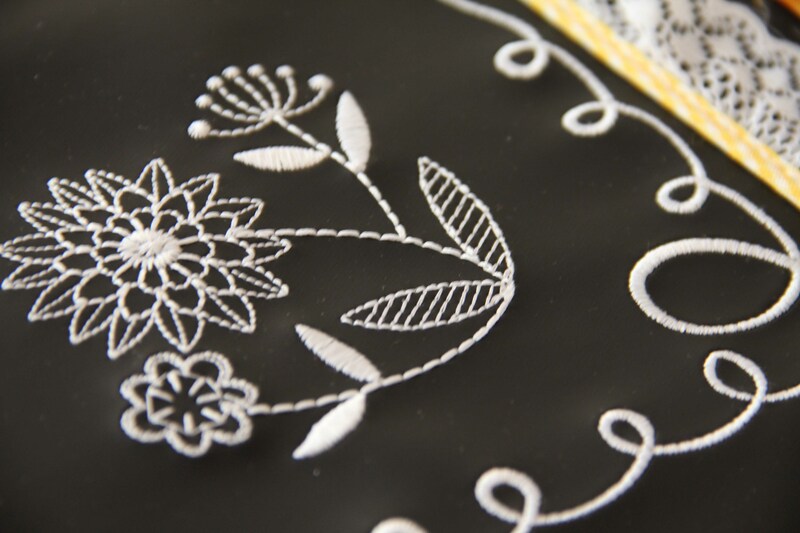 This entry was posted in Creativity, embroidery, machine embroidery and tagged chalk cloth by edges. Bookmark the permalink.